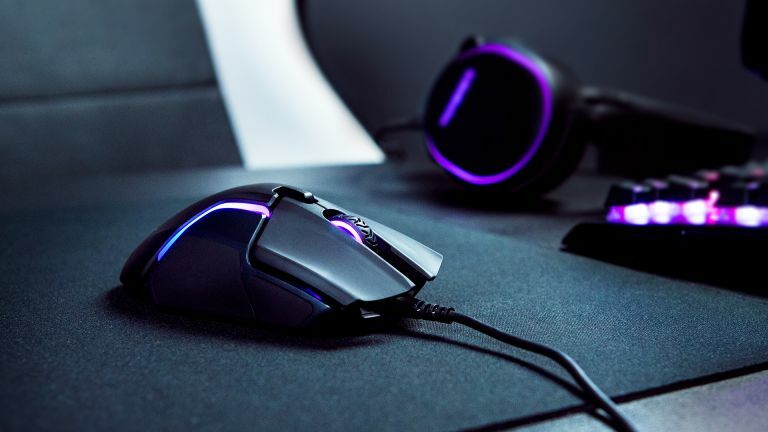 SteelSeries has announced the Rival 600 gaming mouse at CES 2018 which, thanks to a dedicated second sensor, allows gamers to control its lift-off distance. Combined with the Rival 600's primary sensor, the pair make up the new TrueMove3+ Dual Optical Sensor System, with the former delivering 100 to 12,000 CPI tracking and the secondary "PixArt" sensor purely handling lift-off distance. The lift-off sensor can be controlled by the user, allowing gamers to specifically determine when the sensor stops and starts tracking when the mouse is lifted off its matt. This eliminates extra movement when the mouse is picked up and put down (something that happens frequently in fast-paced or demanding multiplayer titles), therefore increasing accuracy and ease of use. The Rival 600's secondary lift-off sensor also features linear optical detection, which allows for superior depth perception and the world's most precise lift-off detection down to just 0.5mm. In addition to the TrueMove3+ Dual Optical Sensor System, the Rival 600 also features customisable weight and balance options (256 in total), and it is also compatible with SteelSeries Engine Software, which allows the user to customise 8 different RGB lighting zones to their fancy. The SteelSeries Rival 600 is available now for a price of £79.99. More information about the mouse can be found over on its dedicated webpage.